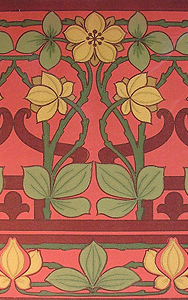 This frieze is 18 inches in width, and is sold by the yard. Color-way Scarlet. Comes untrimmed and unpasted, and will be ganged up one or more on one continuous roll depending on rolls ordered. 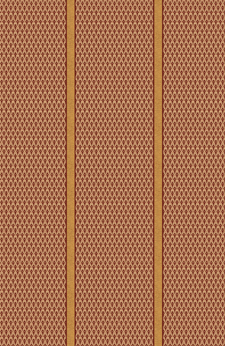 This pattern can be used as a dado or fill Each roll is approximately 17 inches wide when trimmed, by 5 yards long or 21.25 square feet. Comes untrimmed and unpasted, and will be ganged up one or more on one continuous roll depending on rolls ordered. 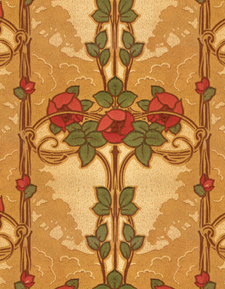 ROSE VINE PATTERN. 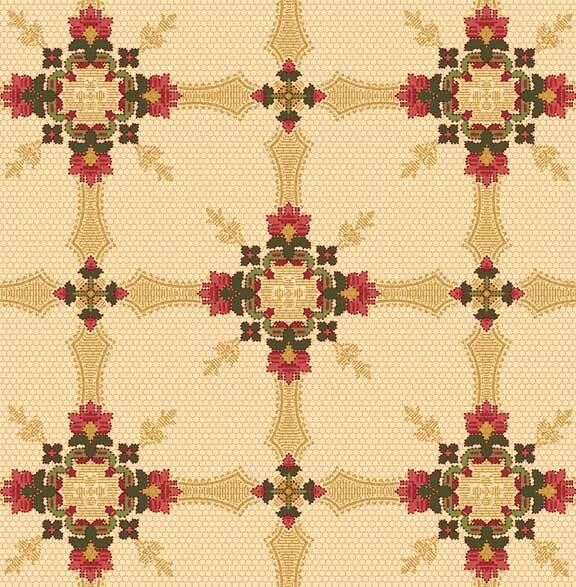 This pattern has a 19 inch repeat. Each roll is approximately 17 inches wide when trimmed, by 5 yards long or 21.25 square feet. Comes untrimmed and unpasted, and will be ganged up one or more on one continuous roll depending on rolls ordered. Each roll is approximately 17 inches wide when trimmed, by 5 yards long or 21.25 square feet with a 12.5" drop (pattern repeat). Comes untrimmed and unpasted, and will be ganged up one or more on one continuous roll depending on rolls ordered.